My partner was on holiday last week. We didn't plan anything to go away, so we decided to find new nice cafes. One of the best find was a tea room Candella. I think this is the best tea room in London so far!! I had passed in front of the tea room many times, but never been there. We found out that the tea room was recommended by many people in internet, so we tried it. The tea room is not big, but very cosy and comfortable. Their ceiling was covered with cute drawing and the interior was really girly. There were some chandeliers which got sunshine and made a lot of rainbow lights, which was beautiful. There were lots of vintage cups and vintage tins of tea, which was exciting for me!! We ordered tea without seeing the menu, but apparently they have huge range of tea menu and also they are organic. They sereve a tea with a big tea pot and candle to keep it warm! We both ordered Earl Grey, and they serve another different Earl Grey in another pot! One is a bit smokey, and another one was really had great citrus taste. Both of them were lovely! They sell tea leaves as well. We were not hungry so much, so we shared an afternoon tea set. What surprising me was I have never had such a good sandwiches!! Usually, I don't really like sandwiches in afternoon tea set, mostly they are dried. But their sandwich bread was so soft. Absolutely soft. That egg sandwiches were the best ever I had in UK. I had never thought that I wanted more sandwiches!! It was warm!! with clotted cream and jam! Most of tea rooms don't serve warm scones. 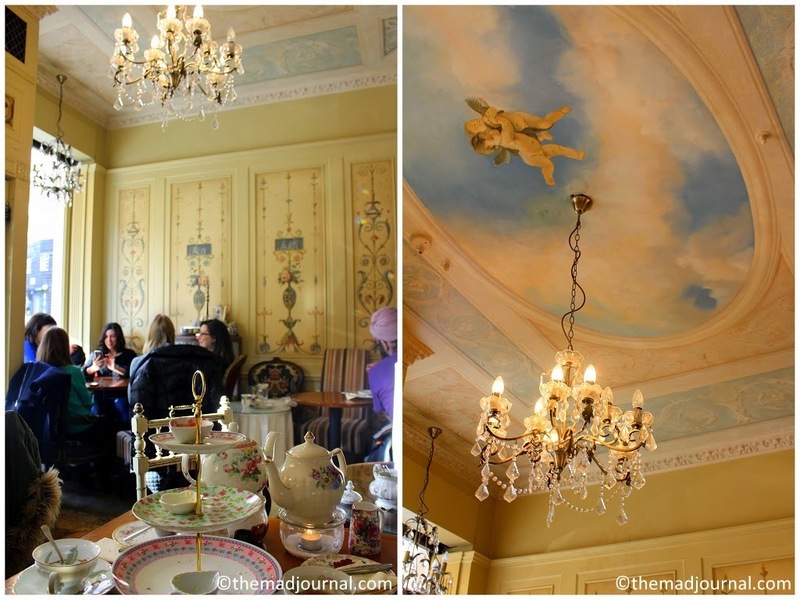 This tea room ticked all points I want for a tea room. The price was very good too. (I think it was around ￡15.) Wonderful. 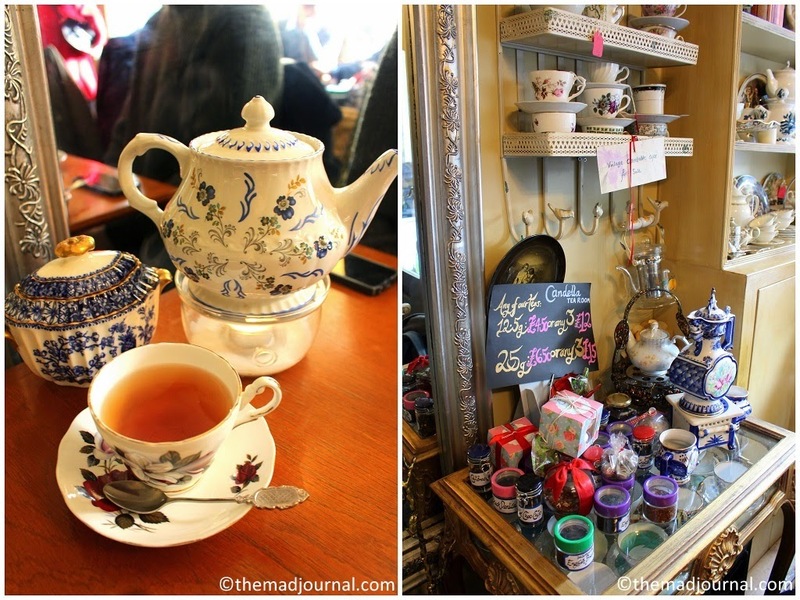 If you asked me the best tea room in London, I definitely would say this tea room. Forget about the snob hotel tea room, I loved Candella! Apparently their coffee is also good, I would love to try it with their cake next time!